Abstract: In this article we investigate influence of new polyphenol compound 1-О-galloyl-6-О-bisgalloyl-2,4-valenoyl-β-D-glucose, extracted from Euphorbia Himufuza (Wild.) plant, on functional parameters of mitochondria. It was shown that above mentioned new polyphenol compound has a positive effect to some functional parameters of mitochondria. For example, this compound inhibits the mitochondrial permeability transition pore (mPTP) opening, activates ATP-dependant potassium channel and has high antioxidant/antiradical activity. Improving of functional characteristics of mitochondria by polyphenol compounds, served as the basis for the hypothesis of a possible antihypoxic effect of 1-О-galloyl-6-О-bisgalloyl-2,4-valenoyl-β-D-glucose due to its low toxicity. In this article we investigate influence of new polyphenol compound 1-О-galloyl-6-О-bisgalloyl-2,4-valenoyl-β-D-glucose, extracted from Euphorbia Himufuza (Wild.) plant, on functional parameters of mitochondria. It was shown that above mentioned new polyphenol compound has a positive effect to some functional parameters of mitochondria. For example, this compound inhibits the mitochondrial permeability transition pore (mPTP) opening, activates ATP-dependant potassium channel and has high antioxidant/antiradical activity. Improving of functional characteristics of mitochondria by polyphenol compounds, served as the basis for the hypothesis of a possible antihypoxic effect of 1-О-galloyl-6-О-bisgalloyl-2,4-valenoyl-β-D-glucose due to its low toxicity. The mitochondria are main units integrating signals that activate different ways of programmed cell death: apoptosis, autophagy, and necrosis like programmed cell death (Sudakov et al., 2007; Bras et al., 2005; Carlotta et al., 2008). It is assumed that mitochondria participate in a «choice» of cell death way (Sudakov et al., 2007). The integration of different mechanisms of cell death predetermines the possibility of mitochondria usage as one of the main objects of cell protection from different death stimula (Asrarov et al., 2015; Gayibov et al., 2017; Ishimov et al., 2015). The complex interaction between nutrients, oxygen, and mitochondria embodies the fundamental evolutionary struggle of eukaryotic life to survive and flourish under continuous and periodic environmental challenges. For an organism to handle extrinsic challenges such as limited oxygen/nutrients supplies or intrinsic factors such as increased energy demands it has to precisely and quickly respond to a wide spectrum of stressors and modulators. Mitochondria play a central role in this paradigm through a sophisticated array of regulatory and signaling responses that are yet to be understood in detail. For example, mitochondria play unequivocal roles in the cellular and organismal response to limited supply of oxygen (hypoxia). In acute hypoxia mitochondria have been implicated as an early respondent by releasing reactive oxygen species (ROS) which in turn trigger a cascade of events involving the stabilization of hypoxia-inducible factor (HIF-1) (Iyer et al., 1998; Chandel et al., 2000; Chandel et al., 2007). Considering that hypoxia is on the basis of various neurological disorders, in recent years many scientists think that the mitochondria are probable «targets» for organism adaptation to oxygen deficiency (Novikov et al., 2013). Therefore, we suppose the adaptive mechanisms that protect mitochondrial dysfunction during and after hypoxia, for instance, during hypoxic preconditioning, are effective molecular mechanism of action of compounds to correction of mitochondrial functional parameters like proper functioning of mitochondrial permeability transition pore (mPTP), mitochondrial ATP-dependent potassium channel (mitoKATP) as well as antioxidant system in pathological conditions (Gayibov et al., 2017). The effects observed with most of the plant and plant-based products have been attributed to a wide variety of properties of one or more active compounds present in ethnopharmacologically important medicinal herbs (Abdramanov et al., 2017). That’s why natural compounds are an inexhaustible source of medicines of various therapeutic effects. The study of the molecular mechanisms of the pathogenesis of a huge number of diseases of plants, animals and humans has shown that all of them are, in one way or another, connected with the activation or suppression of free radical processes (Goroshko et al., 2016). Therefore, it remains relevant to search and study regulators of such processes on the basis of natural and synthetic raw materials. In this regard, phenolic compounds of plant origin and their synthetic analogues are of particular interest, since they have long established themselves as powerful antioxidants/antihypoxants (Gayibov et al., 2017), anti-inflammatory (Gayibov et al, 2017), antiviral (Justyna et al., 2014) and membrane-active (Anjoo et al., 2012) agents and many other effects. In view of the foregoing, research on the mechanisms of the action of plant compounds on the body at the molecular, membrane and cellular levels is currently relevant for the detection of potential pharmacological agents (Giorgi et al., 2008; Salakhutdinov, 2010; Rustamova et al., 2005). In the manifestation of the physiological effects of polyphenols on the cell, their ability to change the permeability of mitochondrial membranes for various ions can play an important role. Analyzing our data the preference is given to the polyphenol compound studied above, due to its lower toxicity and ability to dissolve in water. The antihypoxant activity of the compounds is to a certain extent determined by their effect on the structure of mitochondrial membranes, processes of free radical oxidation and on the process of oxidative phosphorylation. Discovered earlier by (Asrarov et al., 2015; Novikov et al., 2013), the tendency to improve the effect of polyphenolic compounds on certain functional characteristics of mitochondria, served as the basis for the hypothesis of a possible antihypoxic effect of 1-О-galloyl-6-О-bisgalloyl-2,4-valenoyl-β-D-glucose (PC-3). 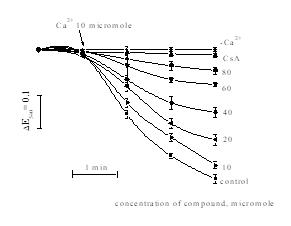 This work focuses on the study of influence of new polyphenol compound 1-О-galloyl-6-О-bisgalloyl-2,4-valenoyl-β-D-glucose (PC-3) (Figure 1) extracted from E.Himufuza (Wild) plant, on proton transportation across mitochondrial membranes, its effect on Ca2+-dependent mitochondrial permeability transition pore in vitro as well as mitoKATP and antioxidant activity. Mitochondria were isolated from the livers of white rats, weighed 180-200 g, by conventional differential centrifugation as described by (Schneider, Hageboom, 1951). Briefly rat liver was homogenized in a medium (1): 250 mM sucrose, 0.5 mM EDTA, 10 mM Tris-HCl buffer (pH 7.4), centrifugated at 1500 g for 7 min (-2…-4 °C). Mitochondria were sedimented by centrifugation of supernatant at 6000 g for 15 min (-2…-4 °C), suspended in a small volume of the medium (1) without EDTA and stored on ice until use. The mitochondrial protein content was determined by the Lowry method in the Peterson modification (Peterson, 1977). The experiments were carried out at room temperature in the standard incubation medium required for each experiment using photocalorimeter KFK – 2 (Granat, Russia, 1991) (if not mentioned another). The passive transport of internal mitochondrial membranes for mono- and divalent cations was studied from the change of the optical density of the mitochondrial suspension at 520 nm (Brierley et al., 1974). All the experiments were carried out in isoosmotic mediums containing nitrates of mono- and divalent cations, 10 mM Tris-NO3, (pH 7.4). Thus for proton permeability measurements the medium also contained 0,13 М NH4 NO3, for potassium permeability measurements – 0,13 М K NO3, sodium permeability – 0,13 М Na NO3, calcium – 0,086 М Са(NO3)2, magnesium – 0,086 М Mg(NO3)2. Non-specific mitochondria membrane permeability was measured in the medium contained 0,26 М sucrose and 1,5 мМ трис- NO3. The state of the mitochondrial megapore, i.e. Ca2+ -dependent mitochondrial swelling was recorded from the change in light scattering of a mitochondrial suspension (0.3-0.4 mg protein / ml) at 540 nm. 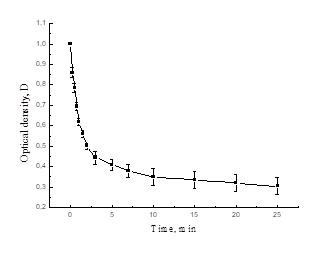 Mitochondrial swelling was monitored by absorbance at 540 nm in presence of PC-3 (1 – 100 micromol) in incubation buffer contained 200 mM sucrose, 20 μM EGTA, 5 mM succinate, 2 μM rotenone, 1 μg/ml oligomycin, 20 mM Tris, 20 mM HEPES, and 1 mM KH2PO4, pH 7.2 (He, Lemasters, 2003). 10 mM Ca2+ addition was used as a control. The ATP-dependent potassium channel activity of the mitochondria (mito KATP channel) was monitored by dropping the optical density at a wavelength of 540 nm and the mitochondria were introduced into the incubation medium of the following composition (in mM): KCl-125, Hepes-10, succinate-5, MgCl2-1, K2HPO4 -2.5, KH2PO4-2.5, rotenone-0.005 and oligomycin-0.001 (Vadzyuk, Kosterin, 2008). 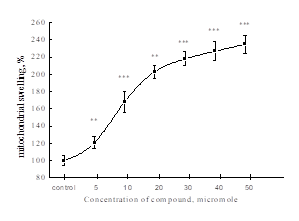 Then PC-3 was added at concentrations 1 -50 micromol. 10 mM ATP was used as a control. Lipid peroxidation (LPO) was recorded by inhibition of Fe2+/ascorbate-dependent liver mitochondrial swelling by photometric method in incubation medium contained: KCl-125 mM, Tris-HCl-10 mM, pH 7.4, the final amount of protein in the incubation medium was 0.5 mg/ml (Schneider et al., 1948). FeSO4 -10 μM and ascorbate-600 μM were added to induce mitochondria swelling. All experiments were conducted at 24-26 ° C so that the integrity of the mitochondria was maintained during incubation. Fitting of the experimental data was carried out by using the Levenberg–Marquardt method (Marquardt, 1963). 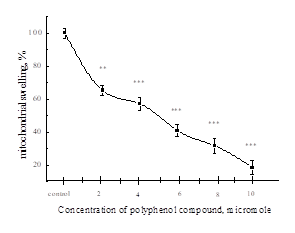 Recording of spectrophotometric data was taken until the disappearance of DPPH in the presence of PC-3 To follow the kinetic behavior of DPPH radical scavenging activity certain amount of PC-3 was added to 3 ml of DPPH ethanol solution (0.1 mM) to get the final concentration of studied polyphenol 10 micromol and the absorbance was measured using SF-46 (LOMO, Russia, 1996) after each 15 s until it becomes constant. These given chemical reagents were used: EGTA, EDTA, cyclosporine A (“Sandoz”, Switzerland), rotenone, tris-HCl (Serva, Germany), Sucrose (Russia), DPPH (Sigma, USA), CaCl2 (“Sigma”, USA). Other reagents were chemically pure and received from local companies. PC-3 was provided by Prof. Mavlyanov S.M. 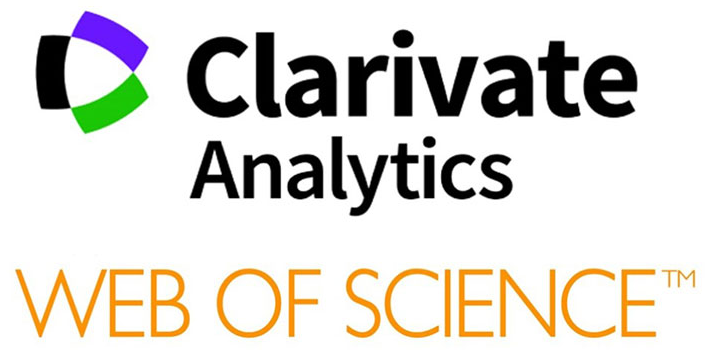 Statistical analyses were performed using the statistical package Origin 6 (OriginLab Corporation, USA). The data was evaluated using parametric Student’s t-test, we expressed as M ± m. Deemed authentic results are expressed at * – Р<0.05; ** – Р<0.01; ***- Р<0.001. In these calculations, the increasing of the permeability of H+ through mitochondrial membrane was taken as 1. The effect of the studied compound on the permeability of mitochondrial membranes could be explained by two mechanisms. First, polyphenol can penetrate by simple diffusion into the interior of the mitochondria, binding the cations with its hydroxyl or carboxyl groups. Secondly, the polyphenol molecule can be embedded in the mitochondrial membranes and form pores that carry the corresponding cations. Under these conditions, the polyphenol does not affect the passive transport of divalent cations (Ca2+, Mg2+) through the mitochondrial membranes. One of the important functional parameters of the cell is functional activity of mitochondrial permeability transition pore (mPTP). The mPTP play an important event in necrosis and apoptosis in hepatocytes after oxidative stress, Ca2+ toxicity, and ischemia/reperfusion (Kim et al., 2013). The core components of the mPTP are the adenine nucleotide translocase (ANT) and a mitochondrial cyclophilin D (CyP-D) that exhibit peptidyl-prolyl cis–trans isomerase (PPIase) activity. Triggered by Ca2+, which binding to the ANT is inhibited by adenine nucleotides, this PPIase activity causes a conformational change of the carrier that converts it into a nonspecific pore (Halestrap et al., 2004). In normal physiological conditions mPTP transports ATP to cytosol and ADP from cytosol to mitochondria through mitochondrial membrane (Halestrap et al., 2004). It was shown that inhibitors of the mPTP have been shown to reduce cardiac ischemia-reperfusion injury (Martel et al., 2012). Furthermore, most cardioprotective agents appear to reduce ischemic cell death either by reducing the triggers for the opening of the mPTP, such as reducing Ca2+ overload or reactive oxygen species, or by direct inhibition of the mPTP. Mitochondria are the key targets of ROS, which are thought to regulate mitochondrial dysfunction and the promotion of apoptosis. Elevated ROS production causes mitochondrial damage, such as collapse of the mitochondrial membrane potential, which is one of the reasons of opening the mitochondrial permeability transition pores, leading to the release of pro apoptotic proteins into the cytoplasm (Balaban et al., 2005; Choi, 2012). Mitochondrial permeability transition pore, also known as megachannel or multiple conductance channel, is multiprotein complex formed at the contact site between the inner and outer mitochondrial membranes, which helps regulate matrix Ca2+concentrations, pH, ∆ψm and mitochondrial volume. Under normal physiological conditions, the mitochondrial inner membrane is impermeable to all, but a few, selected metabolites and ions (Halestrap et al., 2004). The open channel has a diameter of 1.0-1.3 nm and allows passage of solutes with molecular masses up to 1.5 kDa (Crompton, 1999). Opening of the mPTP is tightly regulated by ∆ψm and matrix pH, and can be specifically inhibited by cyclosporine A, bongkrekkic acid, EDTA or magnesium (Kroemer, Reed, 2000). Adding mPTP-inductor (Ca2+ ions) into the incubation medium at a concentration of 10 μM causes mitochondrial swelling (Figure 2, control), that indicates the open state of mPTP. Cyclosporin A (CsA), a specific inhibitor of mPTP, prevents swelling of the mitochondria under the above conditions (Figure 2, CsA), i.e. mPTP remains in the closed state even in the presence of Ca2+ ions. Experimental data show that 1,4,6 tri-O-galloyl-2,3-valonoyl-β-D-glucose at a concentration of 10 μM and in the presence of Ca2+ ions inhibits the mPTP opening to 12.6%, and in concentration of 80 μM suppresses its opening to 89.7% compared to the control. The results show that PC-3 inhibits the opening of mPTP in rat liver depending on the concentration. It has been shown that PC-3 increases passive permeability for monovalent cations. One would assume that induction of passive membrane permeability under the action of PC-3 causes swelling of the organelles, a drop in the membrane potential of ψ and the opening of mPTP. However, the results obtained by us do not correspond to this assumption. According to our results, PC-3 simultaneously increasing passive permeability (Asrarov et al., 2015), has an inhibitory effect on mPTP. This may be due to the antioxidant properties of PC-3 (Asrarov et al., 2015), which has a stabilizing effect on the membrane. Figure 2 Influence of 1-О-galloyl-6-О-bisgalloyl-2,4-valenoyl-β-D-glucose (PC-3) on mitochondrial swelling. Incubation medium is (mM): sucrose, 20 μM EGTA, 5 mM succinate, 2 μM rotenone, 1 μg/ml oligomycin, 20 mM Tris, 20 mM HEPES, and 1 mM KH2PO4, pH 7.2, mitochondrial proteins 0,3- 0,4 mg/ml; (n=3-5). Experiments on mPTP showed that 1-О-galloyl-6-О-bisgalloyl-2,4-valenoyl-β-D-glucose in dose-dependent manner can inhibit pore opening. Mitochondrial membrane is slightly permeable to some anions and cations, like NH4+, but not permeable to chloride, sulphate, as well as to protons. Penetration of NH4+ does not cause mitochondria swelling as Н+ or ОН− are transported outside the cell thus protecting mitochondria from increased osmotic pressure. When both cations and anions penetrate into mitochondria the swelling process increases as increases osmotic pressure. NH4+ penetrates as neutral molecule of ammonia. We propose that in presence of PC-3 cations and anions penetrate into mitochondria causing significant mitochondria swelling. There are 4 main causes of inhibition of mPTP: increasing of Ca2+ concentration, low pH, membrane potential and influence directly to mPTP proteins. Considering that flavonoids are able to chelate Fe2+, Fe3+, Cu2+, Zn2+, Al3+ and Mg2+ cations, but are unable to bind Na+, K+ and Ca2+  there is no decrease in calcium ions, which could lead to inhibition of mPTP. However, it is well known that polyphenol compounds are weak acids. One of the supposing of inhibition of mPTP may be connected with decreasing of medium pH with the help of polyphenol compounds. Another supposing is decreasing of membrane potential which causes by AOA of studied compound. An ATP-sensitive potassium channel (or KATP channel) is a type of potassium channel that is gated by intracellular nucleotides, ATP and ADP. ATP-sensitive potassium channels are composed of Kir6.x-type subunits, which is a major component of the ATP-sensitive K+ channel, and sulfonylurea receptor (SUR) subunits, along with additional components (Stephan et al., 2006). Many scientists suppose that mitoKATP, especially its activation, play an important role in ischemic diseases (Shi et al., 2012; Li et al., 2010; Miura et al., 2003; Raveaud et al., 2009) and have been reported to possess protective role against various cardiovascular complications. Several experimental studies have shown a wide range of possible clinical uses of receptor for KATP channel openers (KCOs) as bronchodilators, vasodilators and bladder relaxants. In addition, KCOs show various cardioprotective effects against arrhythmias, angina and heart failure (Rohilla et al., 2012). However The mechanism of cardioprotection by mitoKATP is poorly understood (Garlid, 2000). Figure 3 shows the data of experiments using PC-3 as the activator of the mitoKATP channel. The results show that PC-3, at the concentrations 10 and 20 μM, activates the mitoKATP channel (Figure 3). And at concentration 80 μM and above there is an output on the board. Considering that the action of PC-3 on the activity of the mitoKATP channel is dose-dependent, it should be specially noted that this action of PC-3 per mito KATP channel has the form of a saturation graph. The effect of various concentrations of PC-3 on the process of LPO mitochondrial membranes induced by the Fe2+/ascorbate system in vitro experiments was studied. Inclusion of the Fe2+/ascorbate system into the incubation medium induces LPO, resulting in violation of barrier function of the mitochondrial membranes, and the organelles swelling sharply compared to the control (Figure 4). Under the induction of lipid peroxidation, introduction of PC-3 at a concentration of 2 μM into the incubation medium inhibits mitochondrial swelling, that is indicative for antioxidant properties of studied compound. The effect of PC-3 on LPO in mitochondrial membranes depended on its concentration, i.e. with its increase in the incubation medium, the percentage of inhibition became more pronounced. Complete inhibition of liver mitochondrial swelling, i.e. of the LPO process was noted at a concentration of 10 μM of the test compound. At the same time, the concentration that caused the half-maximal inhibition of the LPO process (IC50) for this polyphenolic compound was 6.08±0.06 μM. Thus, in experiments it was shown that PC-3 possesses high AOA. It was shown that flavonoids are located in the membrane layer between the lipid bilayer and aqueous phase and can influence both enzymatic and non-enzymatic peroxidation of lipids (Packer, 2001). It was reported that flavonoids also directly interact with biological membranes, reducing their fluidity, making them more resistant to many oxidative factors and hampering diffusion of free radicals (Terao et al., 1994; Harbome, Williams, 1992). Besides, polyphenol compounds can chelate different metal ions. These factors do not allow to directly estimate the contribution of each of these effects to the overall antioxidant activity of the drugs. In this case it is useful to use compounds bearing free valence, which is stable organic radicals. Thus, we investigate the antiradical activity (ARA) of PC-3. ARA of above-mentioned compound has been studied by measuring the change in optical density of 2,2-diphenyl-1-picrylhydrozyl (DPPH) ethanol solution after adding compound. By analyzing kinetic curves of DPPH reduction with studying compound it has been shown that PC-3 has the high ARA. 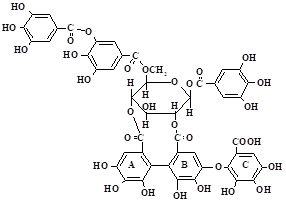 Figure 5 Kinetic curves of ARA of 1-О-galloyl-6-О-bisgalloyl-2,4-valenoyl-β-D-glucose (PC-3) in ethanol solutions of DPPH concentrations of polyphenol is 10 micromole. Correlation coefficient between AOA and ARA of PC-3 is r=0.89. The wide range of studies shows that mitochondria are an important target in the development of such human diseases as heart ischemia, neurodegenerative disorders, etc. Even though the model of the MPTP is still evolving it is already clear that mPTP, while opened, enables molecules of <1.5 kDa to passage freely into the mitochondria leading finally to apoptosis. Increasing level of ROS is found to be the factor causing mPTP opening. Our results show that studied polyphenol PC-3 inhibits mPTP by scavenging free radicals. Moreover, our present data represent that PC-3 activates mitoKATP while avoiding amplifying the ROS production. Although the roles of mitoKATP and mPTP are still controversial our data suggests that studied polyphenol modifies both mPTP and mitoKATP preventing from mitochondria swelling, ROS production and thus from apoptosis. Future studies will be required to demonstrate the role of PC-3 in mitochondria protection and the exact mechanisms of its activity. Acknowledgments: Authors thank head of experimental technology laboratory of the Institute of Bioorganic chemistry Uzbek Academy of Sciences prof. S.M. Mavlyanov for compound 1-О-galloyl-6-О-bisgalloyl-2,4-valenoyl-β-D-glucose (PC-3) kindly provided for the research. ANKUR, R., ARTI, M., SEEMA, R., ASHOK, K. 2012. Mitochondrial ATP-Sensitive Potassium Channels and Cardioprotection. International Journal of Drug Development & Research, 4(2), 92-98. ARORA, A., BYREM, T.M., NAIR, M.G., STRASBURG, G.M. 2000. Modulation of liposomal membrane fluidity by flavonoids and isoflavonoids. Arch. Biochem. Biophys, 373, 102–109. ASRAROV, M.I., KOMILOV, E.DJ., ERGASHEV, N.A., POZILOV M.K., ESHBAKOVA, K.A., TOSHMATOV, Z.A., TASHBEKOVA, M.X. 2015. To the mechanism of action of luteolin flavone on the function of rat liver mitochondria. Biological, medical and pharmacological chemistry questions, 12, 38-43. (in Russian language). BRAS, M., QUEENAN, B., SUSIN, S. A. 2005. Programmed Cell Death via Mitochondria:Different Modes of Dying. Biochemistry (Moscow), 70(2), 231-239. BRIERLEY, G.P. 1974. Passive permeability and energy-linked ion movements in isolated heart mitochondria. Ann. N. Acad. Sci. 227, 398-411. CHANDEL, N.S., BUDINGER, G.R. 2007. The cellular basis for diverse responses to oxygen. Free Radic Biol Med, 42, 165–174. CHANDEL, N.S., MCCLINTOCK, D.S., FELICIANO, C.E., WOOD, T.M., MELENDEZ, J.A. 2000. Reactive oxygen species generated at mitochondrial complex III stabilize hypoxia-inducible factor-1alpha during hypoxia: a mechanism of O2 sensing. J Biol Chem, 275, 25130–25138. CROMPTON, M. 1999. The mitochondrial permeability transition pore and its role in cell death. Biochem. J. 341, 233–249. CYBULSKIY, A.V., POPOV, A.M., ARTYUKOV, A.A., KOSTECKIY, E.YA., KRIVOSHAPKO, O.N., MAZEYKA, A.N., KOZLOVSKAYA, E.P. 2011. A comparative study of the therapeutic effect of luteolin, rosmarinic acid and echinochrome A in experimental cardiopathology induced by stress. Biomedical chemistry, 57(3), 314-325. (in Russian language). GARLID, K.D. 2000. Opening mitochondrial KATP in the heart – what happens, and what does not happen. Basic Res Cardiol, 95, 275 – 279. GAYIBOV, U.G., KOMILOV E.DJ., ERGASHEV, N.A., RAKHIMOV, R.N., ABDULLAJANOVA, N.G., ASRAROV, M.I., ARIPOV, T.F. 2017. Antioxidant and membrane activity of PC-1. 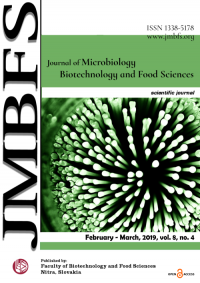 Uzbek biological journal, 2, 19-23. . (in Russian language). GAYIBOV, U.G., KOMILOV E.DJ., ERGASHEV, N.A., RAKHIMOV, R.N., ABDULLAJANOVA, N.G., ASRAROV, M.I., ARIPOV, T.F. 2017. Influence of poliphenol compound PC-1 of permeability of rat liver mitochondrial membrane. Reports of Uzbek Academy of Sciences, 5, 17-22. (in Russian language). GAYIBOV, U.G., KOMILOV, E.Dj., RAKHIMOV, R.N. 2017. Antihypoxant activity of polyphenol compounds from Euphorbia plants. Scientific Conference of PhD. Students of FAFR and FBFS SUA in Nitra, 25. GOROSHKO, O.A., KUKES, V.G., PROKOFIEV, A.B, ARKHIPOV, V.V., DEMCHENKOVA, E.Y. 2016. Clinico-pharmacological aspects of application of antioxidant drugs. International Journal of Applied and Fundamental Research, 4, 905-912. (in Russian language). HALESTRAP, A.P., CLARKE, S.J., SABZALI, A. 2004. Javadov1 Mitochondrial permeability transition pore opening during myocardial reperfusion—a target for cardioprotection. Cardiovascular Research, 61, 372–385. HARBORNE, J.B., WILLIAMS, C.A. 2000. Advances in flavonoid research since. Phytochemistry , 55, 481–504. IYER, NV., KOTCH, L.E., AGANI, F., LEUNG, S.W., LAUGHNER, E. 1998. Cellular and developmental control of O2 homeostasis by hypoxia-inducible factor 1 alpha, Genes Dev., 12, 149–162. KAMBOJ, A., SALUJA, A.K., KUMAR, M., ATRI, P. 2012. Antiviral activity of plant polyphenols. Journal of Pharmacy Research, 5(5), 2402-2412. LI, G.R., DONG, M.Q. 2010. Pharmacology of cardiac potassium channels. Adv Pharmacol, 59, 93-134. MARQUARDT, D., 1963. An algorithm for least-squares estimation of nonlinear parameters. J. Soc. Ind. Appl. Math. 11, 431–441. MIERZIAK, J., KOSTYN, K., KULMA, A. 2014. Flavonoids as Important Molecules of Plant Interactions with the Environment. Molecules, 19, 16240-16265. MIURA, T., MIKI, T. 2003. ATP-sensitive K+ channel openers: old drugs with new clinical benefits for the heart. Curr Vasc Pharmacol, 1, 251-8. NOVIKOV, V.E., LEVCHENKOVA, O.S. 2013. Promising directions of search for antihypoxants and targets of their action. Experimental and clinical pharmacology 76(5), 37-47. (in Russian language). PACKER, L. 2001. Flavonoids and Other Polyphenols: Methods in Enzymology. Academic Press: San Diego, CA, USA, 335, 15–34. PETERSON, G.L. 1977. А simplification of the protein assay method of Lowre et al. Which is more generally applicable. Analytical biochemistry. 83(2), 346-56. doi: 10.1016/0003-2697(77)90043-4. RAVEAUD, S., VERDETTI, J., FAURY, G. 2009. Nicorandil protects ATP-sensitive potassium channels against oxidation-induced dysfunction in cardiomyocytes of aging rats. Biogerontology, 10, 537-47. RUSTAMOVA, R.P., IRGASHEVA, G.M., XUSHBAKTOVA, Z.A., KLEMESHEVA, L.S., SHIRINOVA, I.A., ALMATOV, K.T. 2005. Influence of some flavones on the energy metabolism of mitochondria. Short massage. Biological, medical and pharmacological chemistry questions, 4, 39-45. (in Russian language). SALAKHUTDINOV, B.A., GAYIBOV, U.G., TILYABAEV, K.Z. 2010. Antioxidant and membrane activities of gossypol and its derivatives. Special edition. Uzbek biological journal, 83-87. (in Russian language). SCHNEIDER, W.C., HAGEBOOM, G.H. 1951. Cutochemical studies of mammalian tissues: The isolation of cell components by differential centrifugation. Cancer Research, 11(4), 1-56. SCHNEIDER, W.C., HAGEBOOM, G.H., PALLADE, G.E. 1948. Cytochemical studies of mammalian tissues; isolation of intact mitochondria from rat liver; some biochemical properties of mitochondria and submicroscopic particulate material. J. Biol. Chem. 172(2), 619-35. SHI, W., YANG, Y., SHI, Y., JIANG, C. 2012. K(ATP) channel action in vascular tone regulation: from genetics to diseases. Sheng Li Xue Bao, 64, 1-13. SUDAKOV, N.P., NIKIFOROV, S.B., KONSTANTINOV, YU.M., LEPEKHOVA S.A. 2007. The role of mitochondria in realization of programmed cell death. Newsletter East Siberian Scientific Center of the Siberian Branch of the Russian Academy of Medical Sciences, 1 (53). (in Russian language). TERAO, J., PISKULA, M., YAO, Q. 1994. Protective effect of epicatechin, epicatechin gallate, and quercetin on lipid peroxidation in phospholipid bilayers. Arch. Biochem. Biophys, 308, 278–284. VADZYUK, O.B., KOSTERIN, S.A. 2008. Diazoxide-induced mitochondrial swelling of rat myometrium as evidence of activation of an ATP-sensitive K+-channel. Biochemical journal of Ukraine, 80(5), 45-51. (in Russian language).